Berbenwood Industries is a dynamic interior lifestyle company with strong roots in wooden furniture. It has almost 40-years experience in the furniture industry, particularly in high-end wooden furniture catering to the discriminating tastes of the American Market. It has strongly diversified to interior fit-outs and the local retail market. Its strengths lie in the twin pillars of manufacturing and design. It has a fully integrated manufacturing facility that starts from materials preparation to veneering, machining, carving, assembly, upholstery, and finishing. It has a dedicated in-house design team backed by a technical' team. It has an uncanny ability to utilize the latest materials from weaves, leather, metal and indigenous materials. One of the leading pioneers in Cebu’s furniture industry with 47 years of experience in manufacturing and export of mid to high end furniture. Known for detailed craftsmanship on chairs, stools and other occasional furniture primarily made of woven rattan, wood, leather, bamboo and other sustainable indigenous materials. Market driven. Design forward. Focused on customer relationships and satisfaction; on continuous growth and longevity. Catarman Industries, Inc. is a furniture manufacturing and export company duly registered with the Securities and Exchange Commission (SEC) and Board Of Investments (BOI). The manufacturing plant is situated in a spacious 12,000 sq. mtr compound with facilities and machiniries to ensure a faster and more efficient production of world-class furniture. The company specializes in living room, bedroom, dining room furnitures and other occasional pieces. CEBU NATURA CRAFTS PHILS, INC. Founded in 1996, the company began as an all -wicker and rattan furniture manufacturer with Europe as its main market before slowly shifting to modern and contemporary furniture. Today, “Elegance in simplicity” is the company””s design philosophy, as evidenced by its popular Louise Chair. Considered experts at weaving and in the rope lamination process, Cebu Natura Crafts is also widely known for its manufacturing perfectionism. Celloom Furniture Corporation was established June 2003 as a manufacturer and exporter of high-end outdoor and indoor furniture made of special kind of paper called LOOM & PLASTIC also known as synthetic fiber, woven to aluminum frame. The first and only loom furniture manufacturer/exporter at present in the Philippines recognized in terms of the materials being used. The company was named CELLOOM FURNITURE CORPORATION or CEBU Loom Furniture Corporation taken from the word LOOM, which can be easily identified and recognized through its name. Christone Industries is a manufacturer of furniture and accessories in Mandaue City, Cebu, Philippines since 1990. We manufacture HANDMADE Fossil Stone, Wrought Iron, Wood, Stonecasting, resin based furniture at very competitive prices. We specialize in Universal Knock Down occasional tables. Since 1999, we have been producing show wood parts for Upholstery Manufacturers using Resin. Clear Export Industries Incorporated, owing to its customer’s confidence and satisfaction is one of the few medium sized companies that topped the furniture industry’s growth rate at the start of the Philippine furniture boom in the early 90’s. The product line has developed from buri to wood furniture and the incorporation of indigenous materials. Lately, we have strengthened our veneering capabilities to meet our increasing market demand. From its humble beginnings as a furniture manufacturer, It started with a workforce of 30 in 1978 to 300 at present and has modernized its operation and expanded its facilities tenfold. Coast Pacific Manufacturing Corp. has proved its way of competence and reliance in the industry for more than twenty years. The company has been supplying quality indoor and outdoor hand-made furniture to homes, restaurants, hotels and resorts locally and abroad. Coast Pacific’s aspiration is to serve clients with furniture and accessories that would add elegance and exquisiteness to their place. Thus, they are known for their flexibility towards clients’ and designers’ concepts and ideas. They not only focus on the clients’ needs, but also pay special attention to every little detail to ensure quality delivery every time. Their non-stop innovation and product development to stay ahead in the fast-changing industry trends brings more appeal to both local and international markets. Coast Pacific sees to it that every furniture piece is a “Furniture that inspires a lifestyle”. Detalia Aurora is a company dedicated to creating world-class designs for a discriminating clientele, catering to all customers in medium to high-end markets worldwide. As a lifestyle brand, we offer our clients a variety of products for fully furnished, livable and beautiful spaces – Indoor/Outdoor Furniture and Accessories, Occasional Lighting, Home Décor, and Custom Made Furniture. Our collections range from transitional to modern combining the innovative use of indigenous materials, traditional Filipino craftsmanship and the artistry of talented designers to produce products of the finest quality. Eurowood Products & Technique Mfg. Corp.
PCFR (Philippine Contract Furniture Resources Inc.) and Eurowood (Eurowood Products and Techniques Manufacturing Corporation) are two sister companies under the same management and owner. We are located in the island of Cebu. PCFR has more than 25 years of experience in the furniture business and specializes in manufacturing high quality rattan, wood, stone and woven furniture. EUROWOOD is producing since more than 12 years metal furnitures out of Aluminum, Stainless Steel and Wrought Iron. These two companies are providing the best possible service to their customers and they are also developing new designs as well as they produce any designs the customers like to have. PCFR and Eurowood have customers and representatives in all five continents. The production capacity of the two plants is approximately 30 forty foot containers per month. Giardini del Sole Manufacturing & Trading Corp. Founded in the early 1990s in Central Philippines, our company taps Negros Island artistry and sustainable natural materials to create distinctive high-end lamps, furniture, and furnishings made by local communities. Our hand-crafted designs go beyond borders of culture and taste. Using indigenous weaving techniques, HACIENDA CRAFTS breathes warmth and rustic charm into every contemporary living space. The company continues to serve both the domestic and export markets. We are able to produce volume orders and accept custom work for individual customers. Insular Rattan & Native Products, Corp. Carrying on the tradition of craftsmanship for over 20 years, KENNETHCOBONPUE designs and creates superior quality furniture, lighting, and home accessories for customers all over the world. With his masterful way of integrating nature, traditional craft, and innovative technologies, designer and creative director Kenneth Cobonpue has earned international awards and recognition for his creative, organic, and expressive designs. The brand's manufacturing arm, Interior Crafts of the Islands, Inc., was founded by Betty Cobonpue in 1972 and continues to develop a wide range of meticulously handmade pieces for the collections of KENNETHCOBONPUE, now a well-established and world-renowned trademark in the industry for Asian, American, and European top-of-the-line furniture sellers. Rain or Shine offers a range of furniture that resists the elements. Using the proven traditional methods of construction, but with modern synthetic materials that imitate the texture and feel of natural products, we have achieved our aim of producing an all-weather, durable product. Furniture capable of withstanding tropical sun, rain, sleet or snow without damaging the surface of the furniture. In addition to standard product range, we will make furniture to your specific design or needs. Mactan Wood Carving & Gilding Corp.
Mehitabel, established in 1947, is the oldest furniture manufaturer in Cebu, Philippines. The Company manufactures fine wood and rattan furniture for export to retail customers in the United States, Asia, and Europe. Mehitabel, with a workforce of more than 250 skilled craftsmen and women, controls all facets of the manufacturing process on-site at its state of the art production facility. From design concept to final product, Mehitabel's experience in the furniture making industry is unparalleled. Schedule a factory tour today by contacting us. Obra Cebuana is a world-class manufacturer of Furniture and Home Accessories melding rich Visayan culture, artistry and heritage with finely-crafted transitional pieces. Conceptualized and established in 1990, the family-owned enterprise emerged as a respected exporter in the Philippine furniture industry with pieces flaunted beyond borders, expanding its clientele from the artisan shores of Cebu to coastal properties around the world. Each of Obra Cebuana’s pieces evokes the rustic soul of the Philippine islands through the delicate interplay of natural textures, patterns and contours interpreted into award-winning designs of contemporary elegance infused with old world charm. Locally abundant and wholly renewable indigenous materials such as rattan are carefully hand-manipulated, woven and finished by generations of expert craftsmen skilled in the art of furniture-making Cebu is famous for. Each design embraces a unique story of its own making it radiate a rare Obra Cebuana aesthetic. 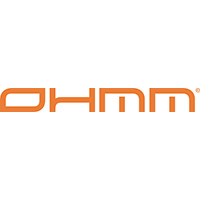 Established in 2007, OHMM is a unique company that designs, manufactures and markets world class handcrafted woven outdoor furniture especially for the hospitality industry. Its HQ is in Singapore and its own manufacturing facility is in Cebu Philippines, home to the world’s best woven craftsmen. San Gabriel Metal Concepts, Inc.
SAWO is coined with two words SAuna WOrld. Born in 1994 and products have been manufactured in Finland, Germany, and Austria. SAWO opened their Philippine factory in year 2000. Today they have two factories operating in MEZ 2, Cebu. SAWO pursue its high standard sauna and steam products for being certified in both ISO Standard in quality (ISO 9001:2015) and environment (ISO 1400:2015) by Finnish management. They cater complete sauna room package locally and export their products to over 80 countries worldwide. Stonesets International, Inc., is a 100% Filipino- owned Family Corporation that was established in 1988. Their various products carry the fine craftsmanship and dedication of experienced craftsmen who make perfection their trademark with every step of the production process. The company stands for total customer satisfaction and takes pride in continually producing masterpieces which clients treasure for years. Together with our Swedish owners and Filipino partners, we have acquired a competent and skilled team. 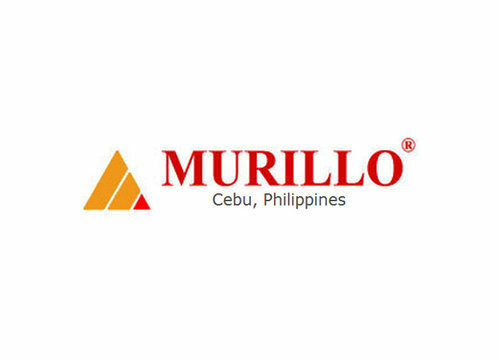 Located in Cebu, Philippines, our factory produce top quality furniture, veneer and interior parts for private customers, B2B clients and for project and contract customers world wide. Our main materials are high grade, environmentally certified wood but we also work with stone, fiberglass and metals such as iron and stainless steel. Regardless if you have your own design or need assistance from the start, our team of competent furniture engineers and architects will work with you to make every small or big project realized. We offer a wide product range of furniture and related crafts. We do accessories such as mirrors, wall panels. pedestals as well as traditional furniture like chairs, tables, sofas, beds and cabinets. We also work with exclusive decoration and finishing, with simple to overwhelming carvings. Our veneer section does beautiful works, from splicing to lamination with marquetry and parquetry designs. The entire process takes place under one roof, from receiving of raw materials to packing. Starting from buying quality lumber, we do the cutting, carving, sanding, finishing, upholstery and packing, making sure that everything reaches your expectations - and higher. 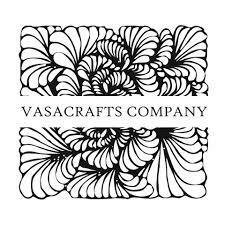 Vasacrafts Company is always working towards an environmentally aware production, all the way from the carefully selected materials such as glue and color to energy consumption and recycling. Welcome to a place where your furniture and interior comes to life! Relaxing outdoors is one of the greatest pleasures in life. And there is no better way to rediscover the beauty of outdoor spaces in style than with Woven Furniture Designs. Founded in July 2007, Woven Furniture Designs, Inc. is a Philippine-based company that specializes in the design and production of functional and comfortable outdoor furniture. We create meticulously designed and exceptionally executed outdoor furniture to enrich every outdoor living lifestyle. Our reputation is demonstrated in every piece we craft. Our team of in-house designers and personnel have years of experience in manufacturing and maintaining products of excellent quality and suitable standards and are dedicated to bringing only the best products to our clients. We select designers who understand the Woven style: clean and simple designs that effortlessly combine form and function. CEBU LER COLORS & DESIGNS CO. LTD.